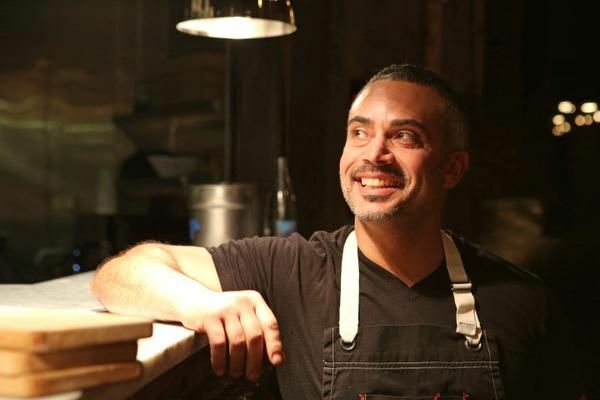 After opening the hugely successful Polpettina in Eastchester in 2011, Michael Abruzese, Kyle Inserra and Joseph Lodi turned to Larchmont in December and opened a new Polpettina in the former Espana Wine & Tapas space on Larchmont Avenue. 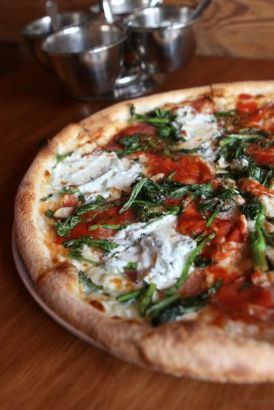 Expect the same favorites you’ll find at the Eastchester location, including and especially their signature meatballs and irresistible thin-crust pizzas made in a Baker’s Pride oven. 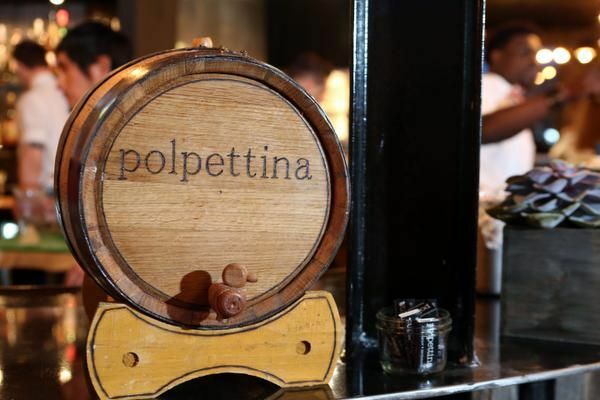 We had a simply wonderful dinner at the new Polpettina on a recent Wednesday. Only parties of eight or more can make reservations, so plan accordingly. When we arrived at 6:30 p.m., the only seats available were in the middle of two large communal tables up front. We chose the bar instead, thinking we might move to a table when something else freed up. But we were totally charmed by the two very friendly, very capable bartenders on duty that night, and we stayed right there through drinks and dinner. How nice to have a 12-seat bar staffed with two bartenders. Such good service from everyone we encountered. There are lots of little grace notes — lovely stemware, soft lighting with hanging Edison bulbs, oversized ice cubes to keep drinks cool and undiluted, local Hudson Valley liquors and craft beers — that really add up. One tiny ding: cloth napkins would be better than the paper ones that blew to the floor every time the front door opened behind us. Hmm, maybe a double front door, too. 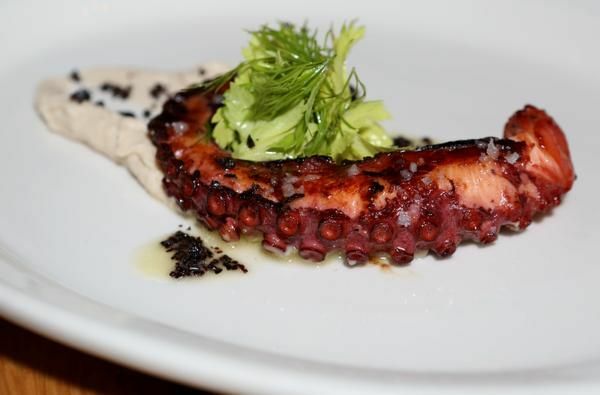 Octopus: Here the gently charred octopus is served with a tasty ale-braised white bean puree and a perfectly dressed herb salad. The octopus was so tender, so flavorful. Razor clams: These long thin clams from Long Island were a blackboard special, topped with an oily, herby salsa verde and salami. Just delicious, a perfect combo of pork and meaty shellfish. Right out of a tapas bar in Madrid. Neapolitan pizza: Of the seven pies on the list, we went for the simple Neapolitan, topped with onions and mushrooms. Really nice — a thin crust with just the right amount of char, lightly dressed, not goopy, piping hot. The smaller $13 version was plenty for two. Beef meatball: We weren’t out for a big meaty meal, so we opted for the $3.50 single beef meatball instead of the three for $8. (Chicken and pork are also available.) It was perfect — loaded with juicy flavor and topped with a splash of tomato sauce, ricotta and pecorino. “Polpettina” means “little meatball,” so how could we resist? And it was big and hearty enough for two to share. Truffled pasta carbonara: The yummy, soul-warming Polpettina version of this classic uses rigatoni, tossed with pancetta, roasted mushrooms and an egg. Wonderfully flavorful. All of the pastas come in small and large portions, and we went for the $9 half order. It was just right for two after everything else we ordered. 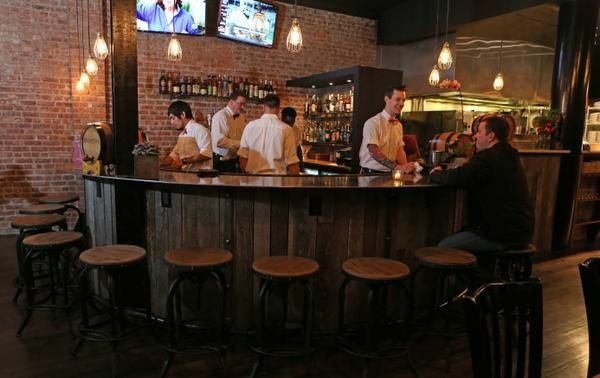 Unlike their branch in Eastchester, the Larchmont restaurant has a full liquor license, plus the same array of craft beers and a wine list with lots of well-priced and interesting bottles. We enjoyed our bottle of La Bertarole 2009 Valpolicella Classico Ripasso even more when we learned it was half off its usual $52. 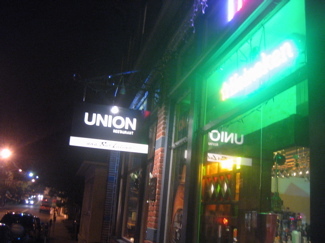 On Wine Down Wednesdays, about 20 bottles on the list are half-price. We were pretty full and nothing caught our eye on the limited dessert list. Good mix of folks: local families with children who know their pizza, couples at the bar, along with guys and girls in twos and threes. Tuesday is Ladies Night. On Friday and Saturday nights, they’ve just started to try out a reverse happy hour, from 10 p.m. to midnight, with discounted drinks and pizzas (the rest of the kitchen is closed). Mondays are all-you-can-eat mussels, and on Wednesdays about 20 of the bottles from the wine list are half price. First up would be that heaping plate of crispy eggplant chips that landed on the far side of the bar, then we’d find something, anything that comes with fries. We’d also love to sip our way through the specialty list of old-timey cocktails. Lots of places with live music, including Chat 19 in Larchmont and Cafe Mozart, Bar Harbor and Harbor Steakhouse, all in Mamaroneck. Visit Auray Gourmet at 144 Larchmont Ave. for tasty cheese. 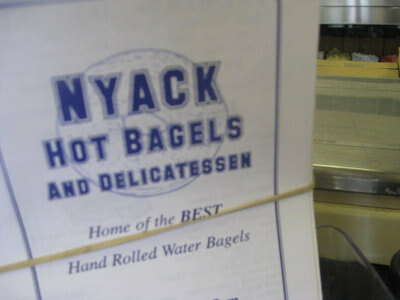 Hours: Daily from 11 a.m. to 3 p.m. for lunch; dinner: 4:30 to 10 p.m. Mondays to Saturdays, till 8 p.m. Sundays; Sunday brunch: 10 a.m. to 3 p.m.